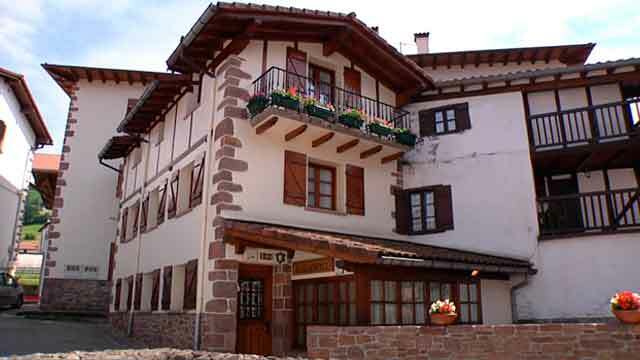 The cottage Aldalurberea is located in the same urban core of the village, next to the square and the covered fronton. *Ground floor: fully equipped kitchen with mashing machine, dryer, dishwasher, microwave, etc. Living-dining room with chimney, television with DVD and toiler. *First floor: 2 double bedrooms. One with double bed and cot. The second one with two single bedrooms. Full bathroom. *Second floor: 2 gambrel roof bedrooms. One of them with double bed and the other one with two single beds. Full bathroom. -It has terrace with furniture and barbecue. -The whole house is rented.